Storvasstinden / Rássevárcohkka (1377), Balsfjord. Storvasstinden as seen from Lysvatnet. 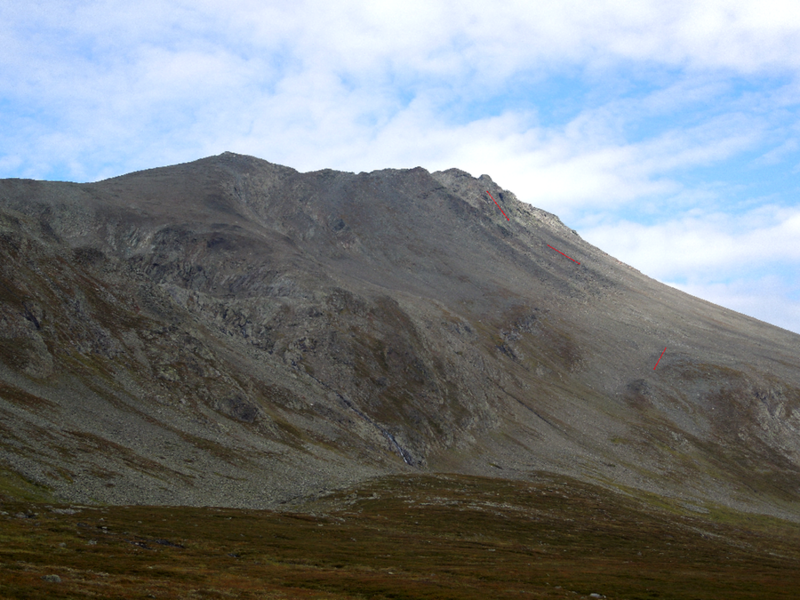 The main summit is the sharp peak in the centre. This photo: Kent Hugo Norheim. 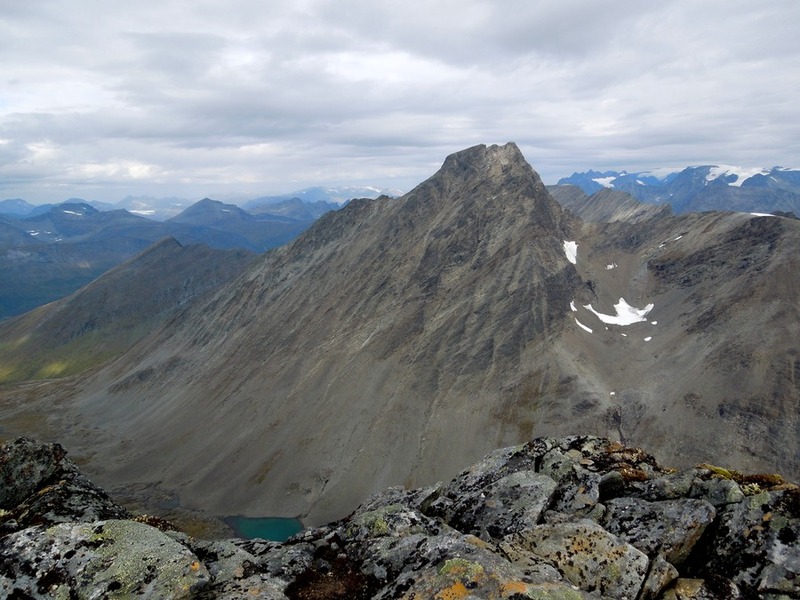 Storvasstinden was first climbed by the Germans Kurd Endell and Wilhelm Martin in the summer of 1911. 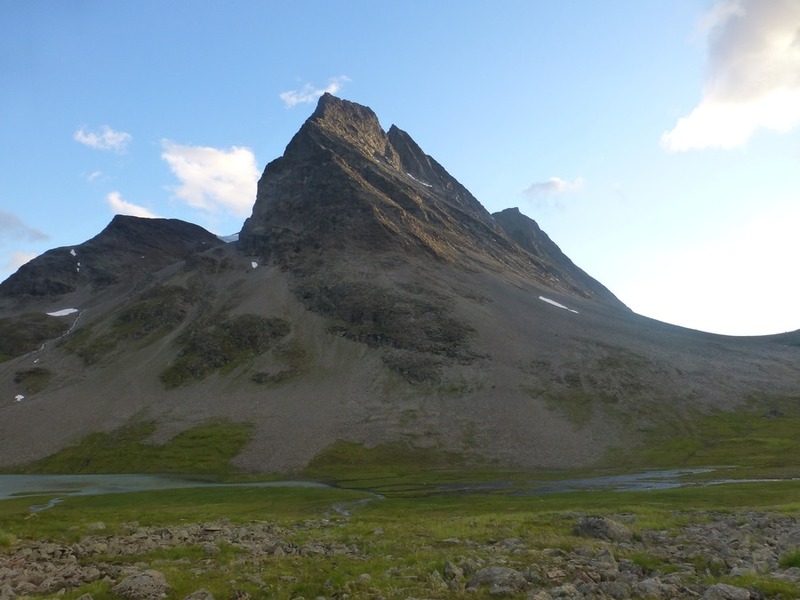 The original route starts from Piggtindskardet and climbs the North face to the notch between point 1291 and the Main summit, and continues along the West ridge to the Main summit. 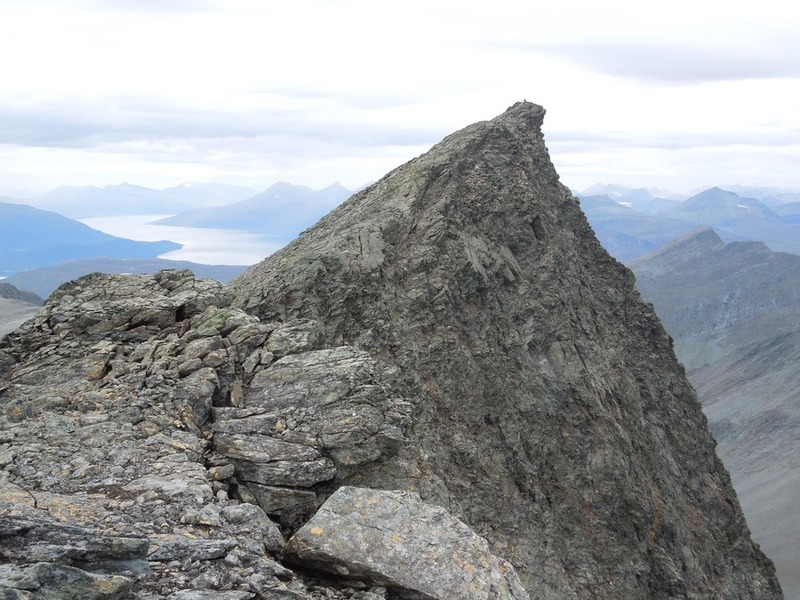 The original party descended the South face to Point 969 before continuing down the East face to Lysvatnet. 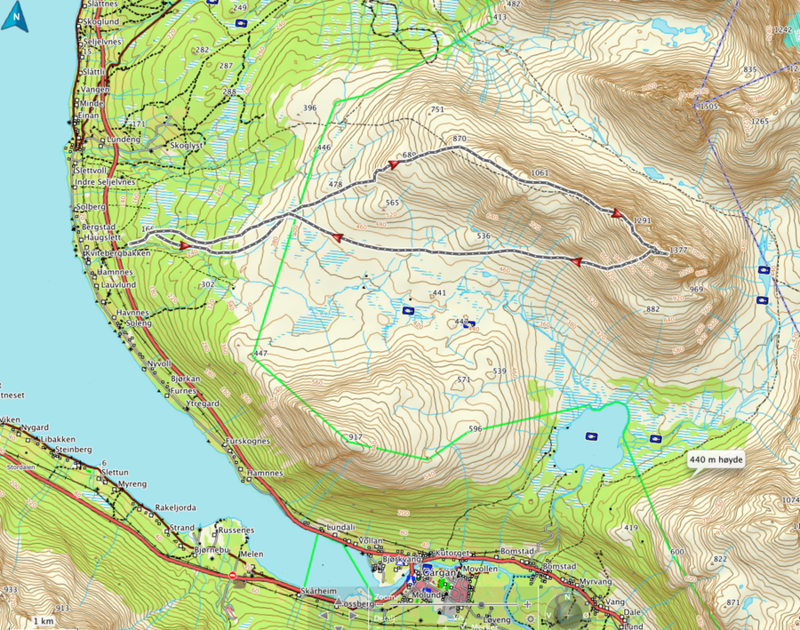 A short description of the West ridge route: We started from Seljelvnes in Balsfjorden and followed a dirt road through the forest towards Finnsteinmyra and later Lagonasen (860). This is where the West ridge actually starts. 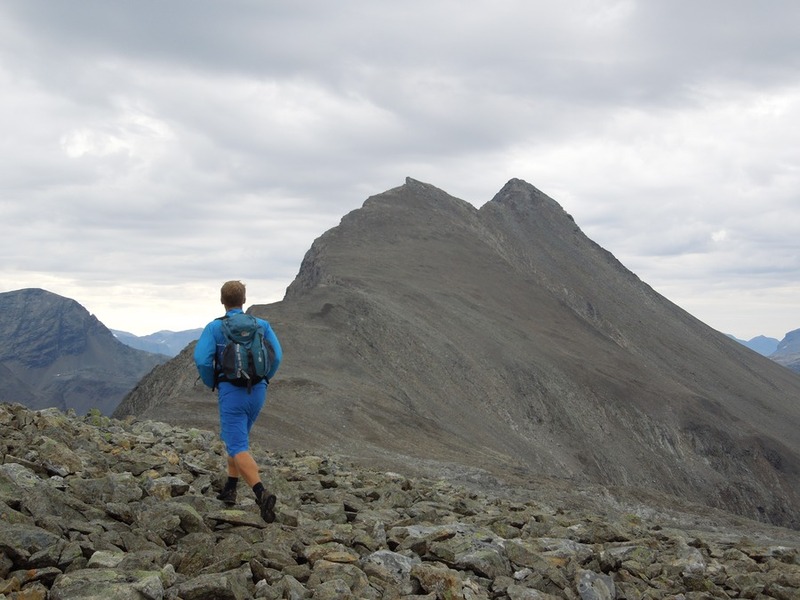 It´s a long ridge (nearly 4 km to the summit). The first real scrambling comes on the descent from point 1291. A short distance from the summit there is a sloping, slabby cliff to descend; it is steep but not excessively so, but there is a large drop from the ridge below it, and it can become very slippery in the wet. 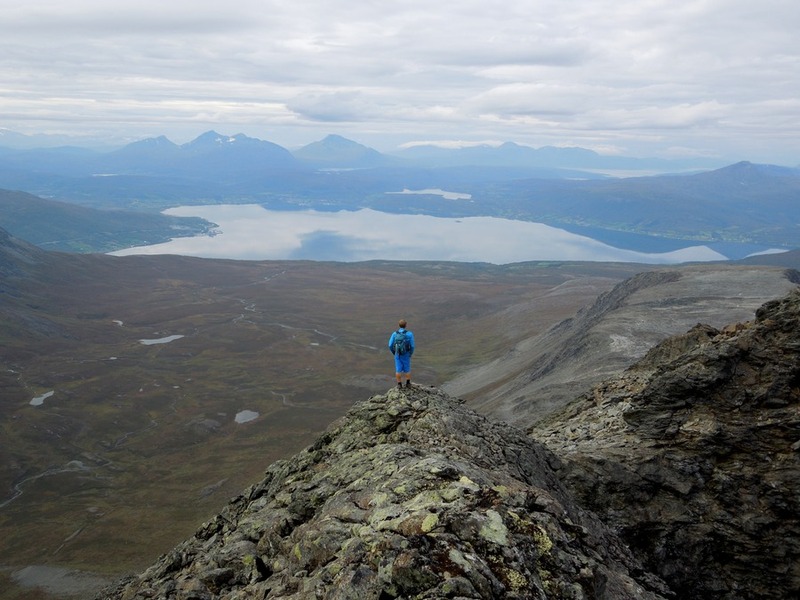 Once safely down this descent, continue on the narrow ridge to the edge of a steep notch. This is the trickiest section on the route. It can be avoided by going back along the ridge for a few meters and descend on ledges on it’s right side which will lead to easier terrain. The rest of the ridge is narrow with a few short scrambly sections but fairly straightforward. We decided to descend the South face to avoid a 4 km return along the West ridge. The entire upper third of the South face was shattered and loose (45-50°). 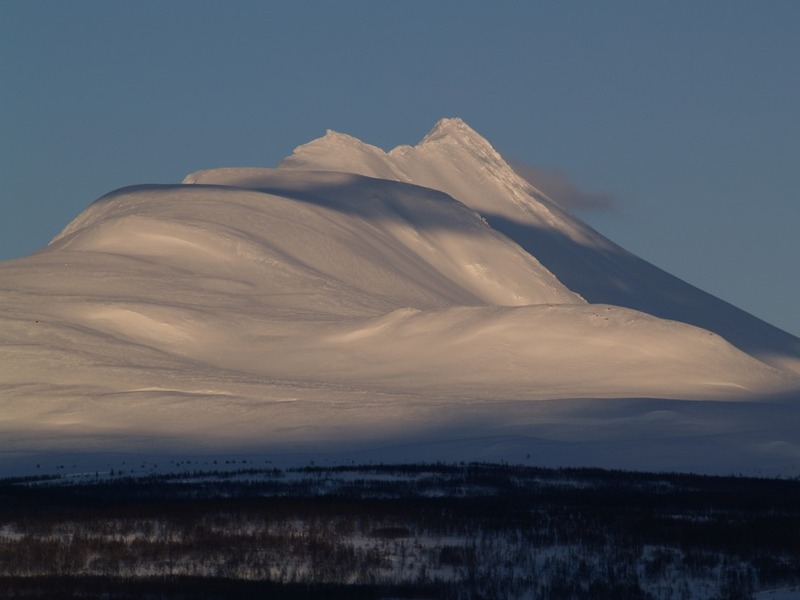 The West ridge from Lagofjellet (1061) with point 1291 to the left and the Main summit (1377) to the right. 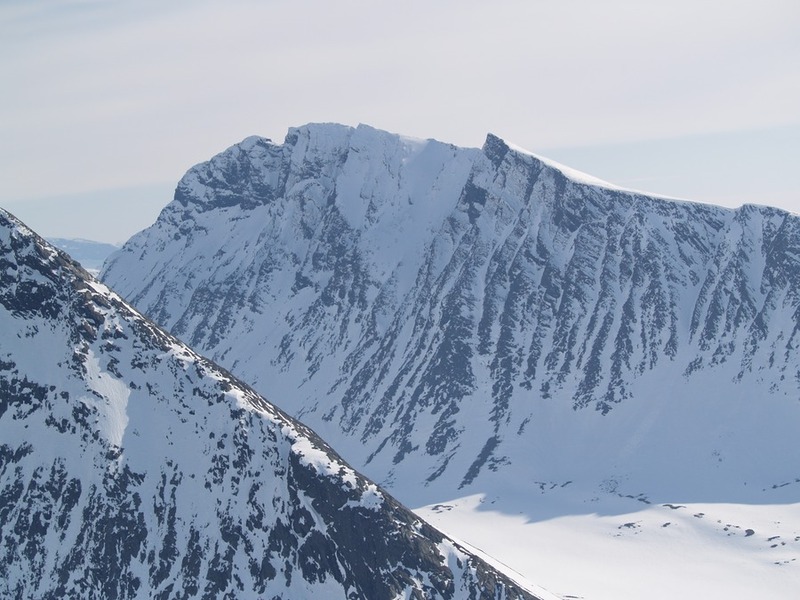 The Main summit from point 1291. 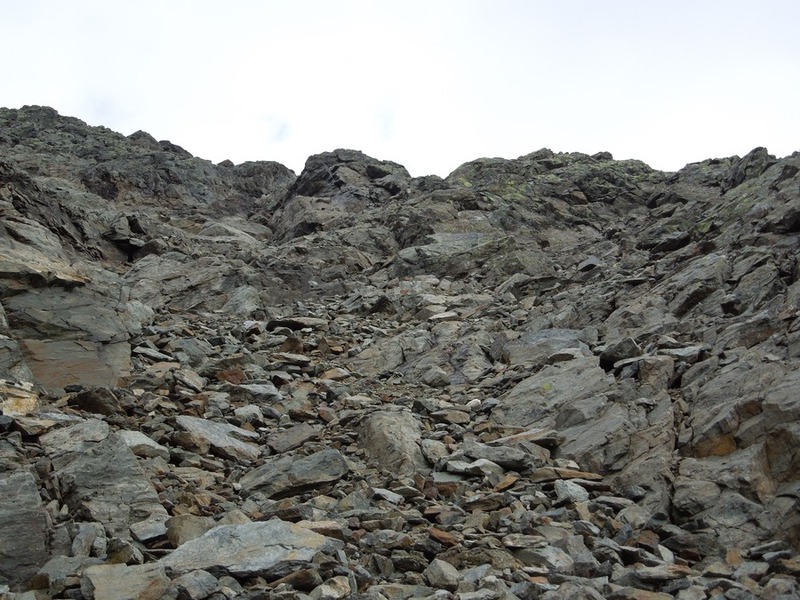 The first real scrambling comes on the descent from point 1291. 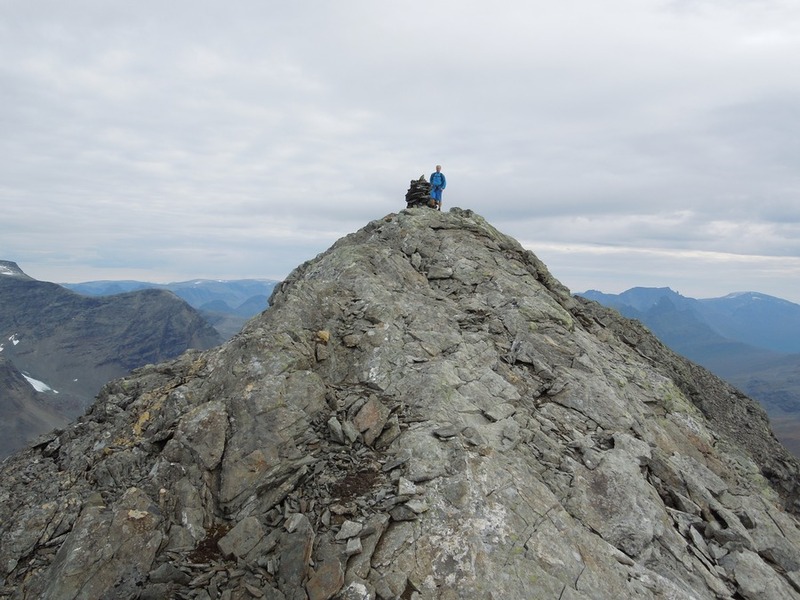 A short distance from the summit there is a sloping, slabby cliff to descend; it is steep but not excessively so, but there is a large drop from the ridge below it, and it can become very slippery in the wet. Once safely down this descent, continue on the narrow ridge to the edge of a steep notch. 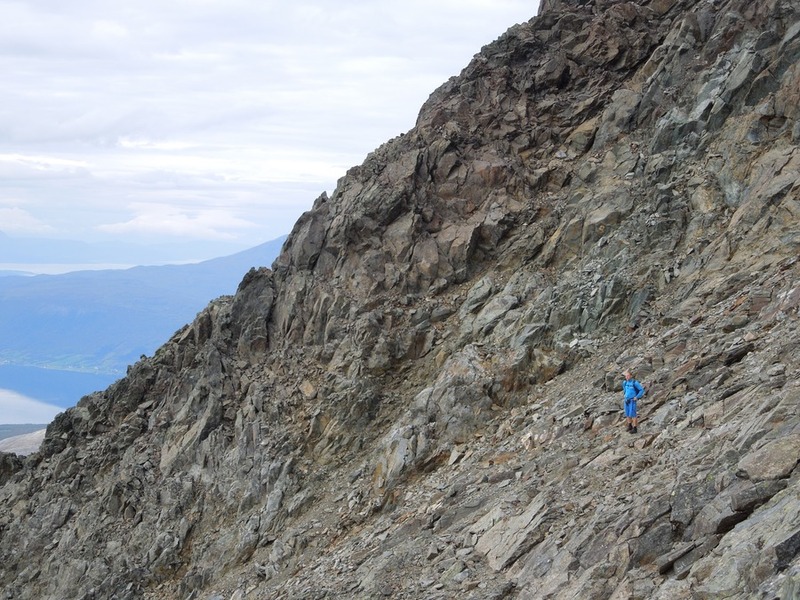 This is the trickiest section on the route, but it can be avoided by going back along the ridge for a few meters and climb down from the ridge crest on ledges on it’s right side which will lead to easier terrain. Looking back towards point 1291 from the summit ridge. Kent Hugo Norheim on the summit. We decided to descend the South face to avoid a 4 km return along the West ridge. The entire upper third of the South face was shattered and loose (45-50°). We descended two parallel couloirs to avoid knocking rocks down on each other. The descent route down the South face. 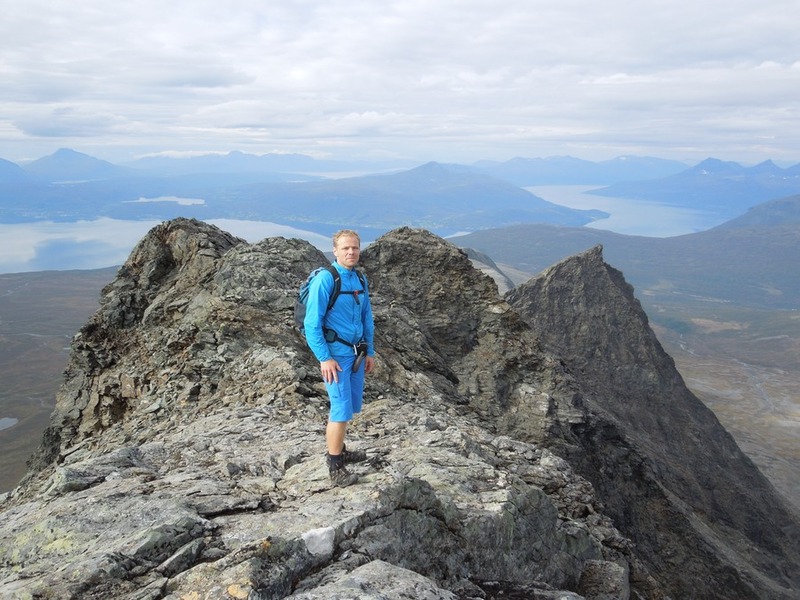 Climbed by Kent Hugo Norheim and Geir Jenssen, 3. September 2013. Distance to the summit: 9 km. Duration: 3h 10min. Elevation: 1289 m.
Kugo´s page can be found here. Winter sunset on Storvasstinden. Hatten to the left. 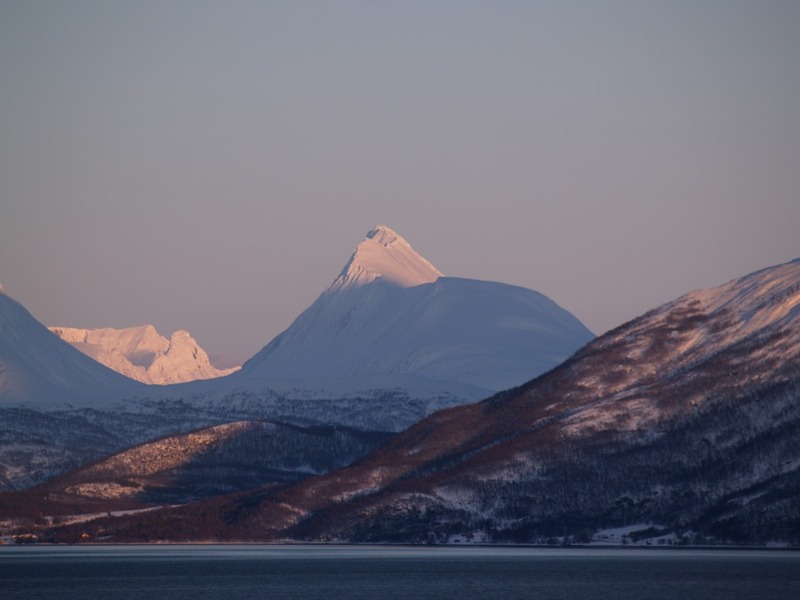 A teleshot of the West ridge and South face of Storvasstinden taken from Tennes in Balsfjord. 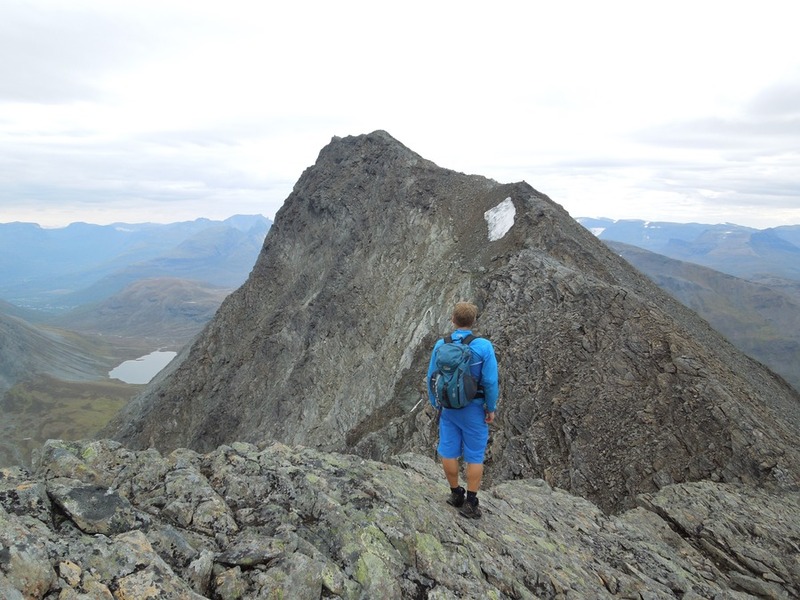 The North face from Middagstinden.